Fifteen lovely hand-carved beads, in a very traditional, antique Chinese style. 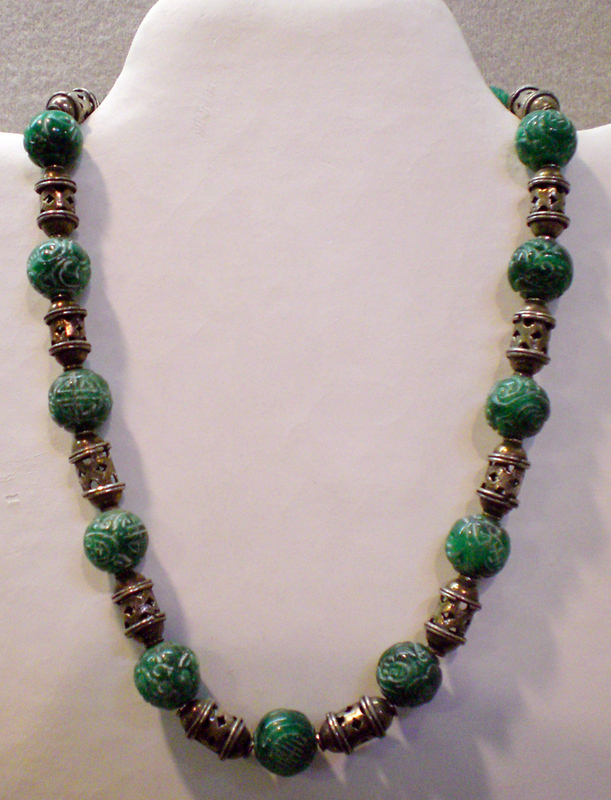 18"-long necklace with sterling silver beads between the jade. The jade beads are 13 mm in diameter.